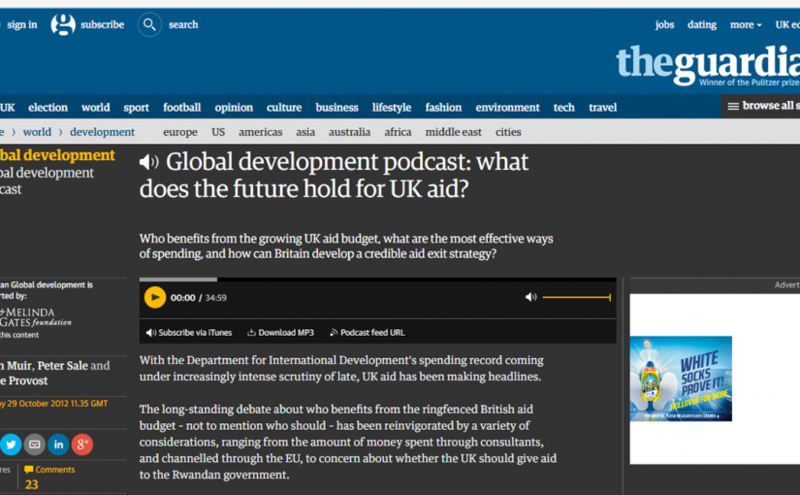 The latest edition of the Guardian Development Podcast looks at the future of British aid. The guest are Deborah Doane, director of the World Development Movement, Joe Powell, senior policy and advocacy manager at the campaign group ONE, and me. There are also recorded contributions from Firoze Manji, former editor-in-chief of Pambazuka News and Pambazuka Press, and Jonathan Glennie, from the Overseas Development Institute, based in Colombia. You can hear the podcast on the Guardian site or on iTunes. If you like this, you may also like Development Drums (also on iTunes). Next Next post: Is multilateral aid better?